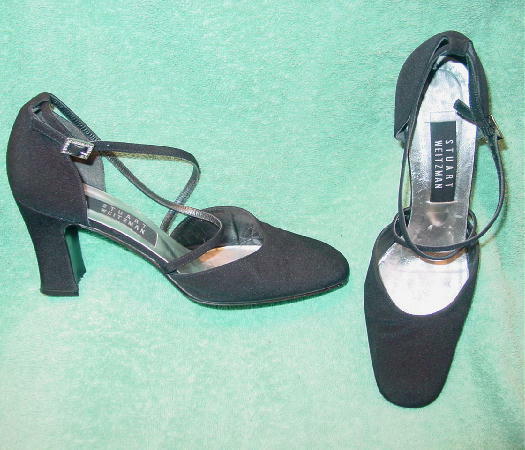 These black fabric evening shoes are by Stuart Weitzman and were made in Spain. They have leather soles and silver lame insoles. 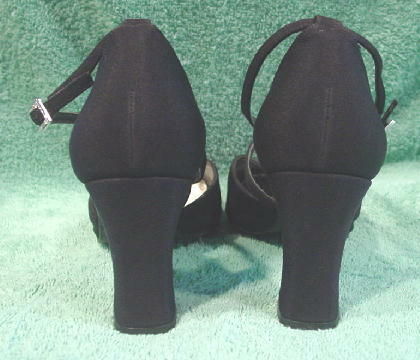 There are rounded toes and thin (1/4" wide) crossover straps which buckle by the outer ankle. 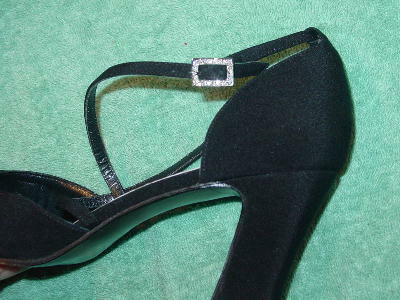 The buckle is in a rectangular shape and has rhinestones on its face. The vamps have some wrinkles.